Free Drug Samples and Hospital Hotels: Which is the Greater Evil? Many folks criticize pharmaceutical companies for providing physicians’ offices with free drug samples. They claim that this giveaway harms consumers because drug companies must raise their prices to cover the costs of these freebies. Of course, this is undeniable. Any business expense, such as payroll or advertising, has to be covered and is expectedly borne by the consumer. If a company chooses not to advertise, outsources manufacturing to a country with cheaper labor, offers limited benefits to its employees, then they can sell their product at a low price. In this hypothetical example, anemic sales may doom the company quickly. Naturally, free samples are not really free. The rest of us pay for them. While this is true, I don’t think it is evil. Unlike the U.S. government, at least drug companies are covering their costs and not simply borrowing money every year to meet budget. Interesting concept. Two of the community hospitals I work at have undergone transformations. One is owned by the dominant health care behemoth in Cleveland and has just completed a near $200 million renovation and expansion. The other smaller hospital is one of the few remaining Cleveland area hospitals that are still independent. I’d like to sneak there at night and hoist up a ‘Live Free or Die’ flag up the flagpole, to celebrate its independent streak, but I’m sure that there are video cameras everywhere and that I would be in violation of several bylaws. The apt punishment might be that I would have to spend a cold Cleveland night chained to the flagpole reading electronic medical record manuals out loud. Both of these hospitals have private patient rooms that look more like hotel suites then hospital rooms. Patients are just a click away from work and play as there is wireless internet. Why do patients need flat screen TVs? Perhaps, they emit healing humors to help speed recoveries. Forget about those hardback chairs next to patients’ beds where visitors would stiffly sit. Now, there is posh furniture to sink into. Artwork is everywhere. Every new hospital these days is equipped with an essential architectural structure – an atrium. What’s the angle here? Is this a marketing war between competing hospitals? Is the new comfort standard for a hospital similar to a high end cruise ship? That gives me an idea. What if a hospital system purchased a cruise line to serve as a floating hospital across the high seas? I’m amazed we haven’t seen this yet. Remember, you read it here first. Visit exciting ports of call! Splurge on our decadent midnight chocolate buffet! Where’s the outrage here? Are these hundreds of millions of dollars helping sick people get well? Couldn’t this money be directed to a more worthy objective? Why aren’t health care reform-minded folks picketing and protesting? Or, does it make more sense to carp over free Nexium samples and pizza for the office staff? It is true that physicians who have been actual patients gain a valuable perspective. I’m willing to make the sacrifice. 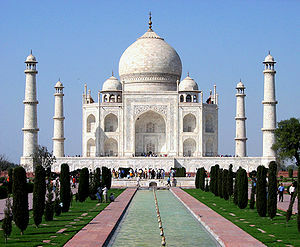 Put me up in one of these carpeted, plush rooms with room service and soft music. It will be tough, but if it’ll help me to be a better doctor, then I’m willing to endure the pain. Last summer, at the Cleveland Film Festival, I saw a movie called The Lottery, which is still swirling in my head. It is a documentary about the enormous obstacles that true education reformers confront when they try to help our kids learn. The film was raw and powerful and made me angry. It led to many family discussions about the state of education in America and a search for a way forward. The film is certainly not a balanced view on this issue, and teachers’ union supporters who view it will need to have industrial strength antacids available. I found The Lottery to be more powerful than the more popular movie Waiting for Superman, which addresses the same theme. Assuming the facts are as presented, viewers are shocked to learn how long and how expensive it is to remove an incompetent teacher. The New York Times reported that governors across the country are seizing on the public mood and are working to dismantle the teacher tenure system, where jobs are protected regardless of performance. As an aside, the Times’ headline reads G.O.P. Governors Take Aim at Teacher Tenure. 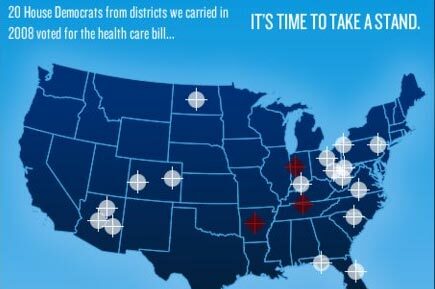 You recall after the recent tragedy in Tucson, committed by an evil madman, some had criticized prior political ads that included crosshairs superimposed on political adversaries. Yes, these were Sarah Palin’s political ads. Critics suggested that these ads were not only tasteless, but created a climate of incitement. Should the Times’ phrase Take Aim in the headline above have been sanitized? Who knows? Someone might read ‘take aim’ and think it is a call to arms! I was asked recently if the medical profession had a mechanism to verify if our older practitioners had the necessary cognitive and technical skills to practice medicine. The answer is, no we don’t. While other professions have mandatory retirement ages, we physicians are firmly on a tenure track that has no endpoint. Physicians can continue to treat patients, and even operate, without any limitation of age or requirement to certify that our skills are sufficient. I think a reasonable argument can be advanced that we could do better. There is an emotional aspect of the argument advocating periodic assessments of physicians because lives are at stake. But many professionals who don’t wield scalpels or colonoscopes can also put our lives at risk. If an engineer, for example, designs a bridge and miscalculates, a tragedy could ensue. Before we all agree that physicians starting at age 60 should undergo testing every 5 years, let’s consider which other professions should be included in this effort. Nevertheless, I feel we have an obligation to our profession and to the patients we serve to assure them that we still have the right stuff. Teachers’ unions have been recalcitrant and oppositional for decades and they have squandered the public trust. Their enemy is not the GOP governors or a public who is now hostile to them. Teachers are victims of their own self-interest. The medical profession has failed many times by not reforming ourselves proactively. Then, outsiders ‘reform’ us and we gripe about our loss of autonomy. Haven’t we learned what happens when outsiders heal us? I think that medical reform needs to be square in our own crosshairs before someone takes aim at us. My daughter, Elana, home from college on winter break, offered me a book to peruse from one of her classes. She correctly suspected that her father, the Whistleblower, would enjoy reading a book authored by a Whistleblower pro. 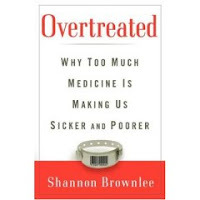 The book, Overtreated, by Shannon Brownlee, should be required reading for first year medical students, who have not yet acquired views and habits that promulgate excessive medical care and treatment. For those of us already in practice, this book should be a required element of board recertification. The theme of the book appears as a subtitle on the cover. The most important cause, she argues, is unnecessary medical care, which costs the nations hundreds of billions of dollars and exposes patients to the risk of harm from medical complications. 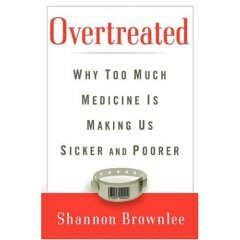 She writes: If overtreatment were a disease, there would be a patient advocacy group out there raising money for a cure. She points out numerous conflicts of interest in the system where medical incomes rise when medical outcomes decline. She shares the views of early medical reformers, iconoclasts, who are now firmly in the mainstream of medical reform efforts. She gives the history the development of the understanding of geographic variability in medical costs and outcomes. She explains why spending more on health care oven leads to worse health for patients. The reader will see the familiar statistics comparing the United States to other nations who spend far less than we do and enjoy better health. The book was published in 2007, before the divisive national debate on Obamacare took place. But, the book is not dated and the issues are highly relevant. The book reminded me of Atul Gawande’s remarkable and influential essay published in New Yorker Magazine in 2009. Gawande’s piece impressed one reader so powerfully, that he required his entire presidential cabinet to read the article. I haven’t finished the book yet, but I intend to. I award Brownlee’s book with the coveted Whistleblower Seal of Excellence. Even a perusal of the first few chapters would be worthwhile. I hope that you will consider reading it and recommending it to others. Why not leave a copy in your medical office waiting room or on your coffee table at home? You might consult it before you sign up for the total body scan being advertised in your newspaper. My deep concern is that Overtreated will be Underread. The women have always maintained their innocence, and supporters have argued that the verdict was wrong or disproportionate to the crime. I am not knowledgeable on the facts and offer no view on the whether the verdict and sentence were just. More details on this case can be found at Everything Health, often among the first to present medical controversies to the blogosphere. Governor Barbour cited the estimated $200,000 yearly cost of dialysis that the state would bear as a factor in his decision to release the women. This created ethical angst for many of us. Organ donation, at least currently, is supposed to be an altruistic event, when the donor does not receive monetary or other tangible benefits for the gift. (I am not referring here to compensating donors for their time, medical expenses, lost wages, etc. But donors should not view donation as a revenue stream.) If the Governor’s rationale became established policy, then we would become ethically unmoored. 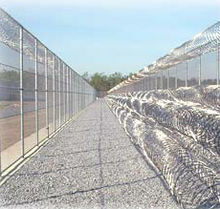 The drift that began with a Mississippi prison would seep out across society. Which of the following scenarios would we support? You get the idea here. Too often in the medical ethical arena, an action precedes thoughtful discussion and debate. The danger here is that the action spreads out and becomes prematurely established as policy. It becomes harder to undo an action that has developed roots and is multiplying. Indeed, a change in medical ethics policies should be the final part of the process and not the opening act. When do you think the proper time would be to debate human cloning? Now, or after several Whistleblowers have been cranked out in cloning farms around the country? Two Mississippi women have been unshackled and released from prison. Is medical ethics now in handcuffs?